rets Cloud – RETS to mySQL | MLS rets data to mySQL | retsCloud UI | Manage RETS(MLS Data) to mySQL feeds online. Stop following the IDX crowd, it's time to create a unique MLS home search experience for your clients. With rets & mySQL with the power of retsCloud you'll be able to stand apart from the pack and get better results. Starting at $25 a Month Setup as fast as 24 hours. Your are no longer on your own with RETS. We are here to make getting or syncing the rets/mls data into your mySQL database easy. Once you setup retsCloud our system will refresh your data about ever 15 minutes. That’s right we sync the MLS data to your mySQL database every 15 minutes on average. Just as fast (if not a little faster) as the big MLS search sites. Our system is ready to go since you don’t need to install it or configure it. Just create an account for free and and get MLS data today. Custom RETS setups are still available for FTP, SOAP and other MLS standards. We have simple straight forward pricing starting at $25 a month and no long term contracts. Why pay more for less with the other guys. Enjoy all the features and functions combined with RETS data. 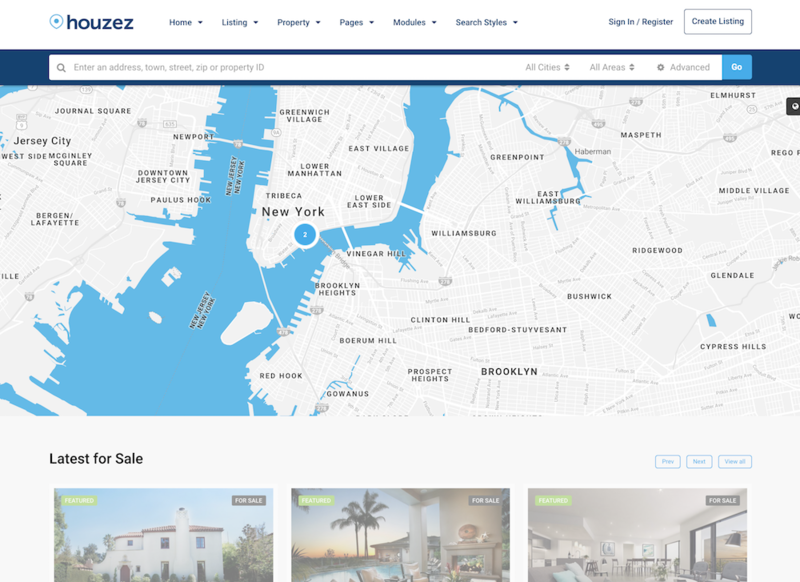 We do all the integration for you and keep the MLS data synced with your Houzez WordPress. There are no iframes or programming tricks. 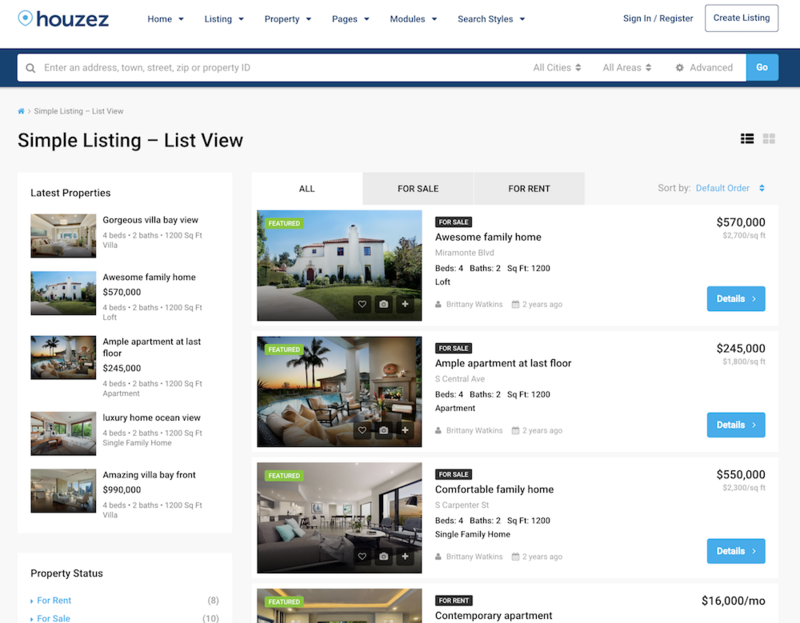 All features of Houzez continue to work. We charge a one time fee of $500 and no extra monthly costs, just your normal retsCloud data subscription. This all runs on your servers and you can duplicate and move the code as you wish. 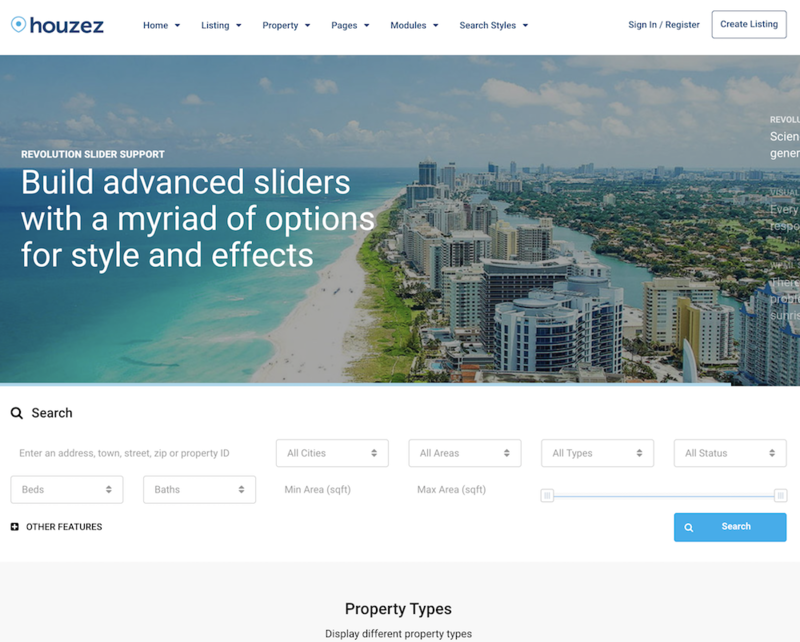 Houzez is a modern WordPress plugin with great features. Reveiw the plug in and all it has to offer. – a server with at least 2gb of ram – a VPS or dedicated server Suggested Hosting Suggested server size based on 20,000 MLS records. If you have more records you will just need more ram. With a normal 7 day turn around, you can get to market quicker and start capturing new clients and getting better SEO. Risk Free Trial Create a free account and give it a go. Contact us if you have any issues. © 2019 rets Cloud. Built using WordPress and OnePage Express Theme.